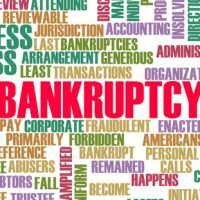 Many of our clients here at Nowack & Olson are interested in how they can re-establish their credit after filing for bankruptcy. But our business clients often have a slightly different concern—how to start a new business soon after a business bankruptcy. Maybe you caught the bug and can’t envision working for someone else. Never fear—most businesses fail and disappear, so you have nothing to be embarrassed about. We understand your desire to get back up on the horse and try again. To give yourself the best chance of success the second (or third) time around, use the tips below. Maybe your company went bankrupt because the economy went south or because consumers suddenly lost interest in your product or service. These hurdles are largely beyond your control. You didn’t understand the industry well enough before starting. You could not access capital because you had not yet established business credit, or because your credit was bad. You hired the wrong people for key jobs, which cost you money. You tangled your business finances up with your personal finances, and personal financial mismanagement caused your business to fold. Most of these issues are preventable. For example, you should only start up a new business in an industry you understand inside and out. You should also find people knowledgeable in the field to serve as mentors before raising capital for the business. Your prior business might have been a sole proprietorship. Because there is no legal distinction with this business form between your business and your personal finances, you might have badly injured your credit when you filed for bankruptcy. This time around, structure your business properly. For example, you might form a limited liability company, which is a hybrid between a corporation and a partnership. A great feature of LLCs is that they offer limited liability which shields your personal assets from creditors. Raising capital is always difficult—especially after a bankruptcy. Generally, banks do not lend to new businesses. Instead, they require a personal guaranty from the business owner, which means you are suddenly on the hook again for the loan if your business cannot repay it. Look for non-traditional lenders, who might take a chance on someone with poor credit. Raise money with crowdfunding. Often, people contribute based on the strength of the idea, not the business history. Bring aboard a business partner with good credit who can sign for all loans. None of these choices might be ideal, but they could be the only way you can raise sufficient funds. You can’t use the old number of a business that has been through bankruptcy. Instead, you should get a new number from the IRS. You should also realize that debt of a corporation or LLC cannot be discharged in a Chapter 7. Instead, the company continues to owe the debt, so you can expect creditors to come knocking if you try to revive your failed business. As one of the premier bankruptcy law firms in South Florida, we have advised countless consumers and small business owners about their options when feeling financial distress. We are prepared to file bankruptcy for you and shepherd you through the process, but we need to hear from you first. To schedule a free, initial consultation, please contact us at Nowack & Olson, PLLC today. We have offices in Doral, Jupiter, Boca Raton, and Plantation.